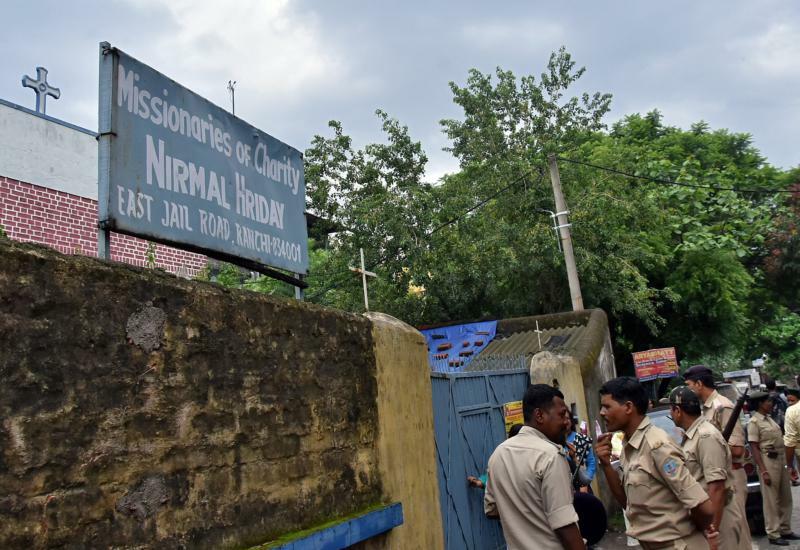 RANCHI, India (CNS) — A court in the eastern Indian city of Ranchi sent a Missionaries of Charity nun to 14 days of judicial custody July 5 after she was arrested on charges of child trafficking. The nun, identified only as Concilia, was detained for questioning July 4 following complaints that babies had been sold to childless couples, reported ucanews.com. Another nun from the congregation also was detained, then released. The two nuns work at the Nirmal Hriday (Tender Heart) home for unmarried mothers. A female staff member, Anima Indwar, was also arrested, reported ucanews.com. Police said they recovered 65,000 rupees in cash from Indwar that they suspected was part of the amount paid by the couple, Saurabh Kumar Agrawal and Preeti Agrawal of Uttar Pradesh. The couple came into contact with Indwar through a relative in Ranchi before handing over the money, The New Indian Express reported. Sunita Kumar, the order’s spokeswoman, said the home was for unwed mothers and did not put children up for adoption. She said the congregation is examining the system to make sure that such complaints do not arise in the future. The charity home is part of the mission for children and unwed mothers of the Missionaries of Charity founded by St. Teresa of Kolkota in 1950. Ucanews.com reported some Christians view the arrest of the two nuns as being aimed at tarnishing the reputation of the church. Trafficking of children carries a sentence of 10 years in prison.